I have not posted to the blog for almost a month! I apologize for that, but I have been busy getting presentations and grad courses ready for various upcoming events! I also have been busy learning some new software interfaces, most notably the new version of Adobe Connect 8 and the new Adobe Acrobat X. The components of both have been improved and the navigation has been made easier, but it still takes a while to adapt to new interfaces. Adobe Acrobat X has some exciting new accessibility features, too! I have also been using the new Apple iLife suite, mostly iMovie, and am taking advantage of some of the new features. 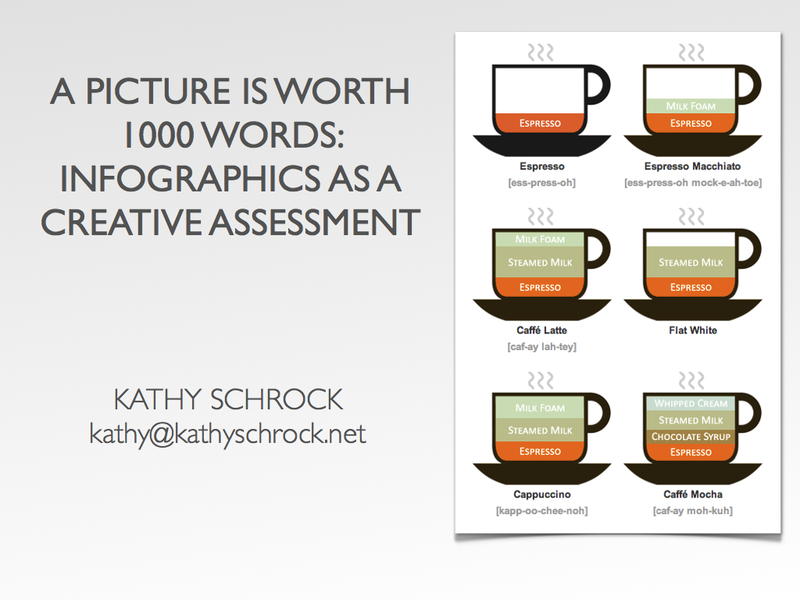 I have perfected my "Using Infographics as a Creative Assessment" presentation for ISTE11 in Philadelphia. 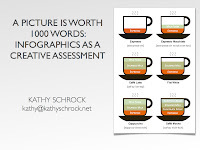 I am sold on this alternative assessment practice, and, if you attend the session, will help you see how great it is, too! That's it from kinda snowy, but very cold, Cape Cod! I am looking forward to attending FETC in Orlando next week and will be helping in the DEN pre-conference and doing two featured sessions. I hope the weather is at least sunny for me!